Anyone who does CrossFit knows just how important it is to be comfortable and supported while you’re working out. However, people usually put so much emphasis on the clothes they’re wearing being comfortable and supportive and forget about the most important accessory: shoes. Your shoe can have a huge impact on your overall performance, and if you’ve ever tried to work out hard with an inferior shoe or one that’s breaking you’ll understand just what we mean. The same can be said for those who try to do CrossFit with general running shoes, resulting in a lot of pain and discomfort. If you’re serious about your workouts you’ll know the importance of choosing the right shoe. You’ll need a shoe that’s been made specifically for this unique style of exercise and one with the reputation of one of the world’s largest shoe brands behind it. You need to buy from a brand that’s known for giving athletes everything they need and more, and won’t settle for anything less. 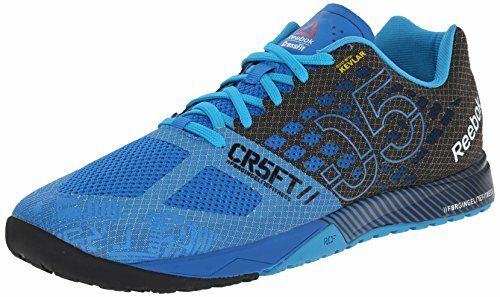 The key answer to all of your problems is the Reebok Nano 5 Shoe, made specifically for CrossFit and with the solid reputation of Reebok standing for it. Their specially designed shoe will help you work out to your maximum performance and never leave you feeling sore or uncomfortable on your feet, only in the muscles that you’re bulking up. Reebok has one of the longest and most solid reputations of making innovative shoes for athletes, and they pride themselves on knowing what every sport or activity needs when making their footwear. For these shoes, they’ve partnered up with CrossFit to deliver something that’s ideal for this unique type of workout, and you’re able to benefit from all of the features. You might have noticed some people at your local gym wearing CrossFit specific shoes and wondered what all the fuss is about, so now it’s time to experience it for yourself. 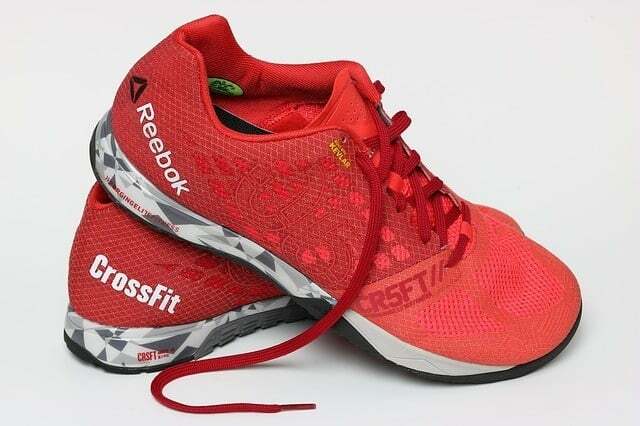 Reebok has designed these shoes with the help of CrossFit so you know that they’re going to deliver everything you need to make your workouts great. 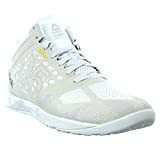 This is the ideal shoe for anyone who likes CrossFit or even those who do simple cross training. Because it’s been designed to support you in so many different activities you’ll get so much use and versatility out of it, far more than compared to a standard running shoe. If you’re someone who wants to get serious about their CrossFit performance then these are the shoes for you. There’s really nothing better out there for someone who’s serious about CrossFit and when you learn that Reebok partnered up with them to make this shoe it will seem obvious. These shoes are especially ideal for weightlifting and will give you the strength you’ve never had, allowing you to make even more gains. They are also lightweight and flexible when you need them to be, offering the perfect balance. Quite a few people have pointed out that the toe area is a little wider than you’ll find on other shoes, which depending on your food, could be a good or bad thing. If you’re used to needing wide shoes this will be beneficial but those who prefer a narrow and tighter fit up top might want to keep shopping. Every part of these shoes have been made to be supportive and you’ll feel it right away when you put them on. From the durable midsole shell to the Kevlar infused upper, there’s no part of this shoe that hasn’t been built to protect and comfort. This means you can focus fully on your performance and never worry about discomfort or irritation for your feet again. These men’s cross trainers are available for a great price online through Amazon, and as an added bonus there’s no lining up in stores. Pairs come in different styles and sizes and vary in cost but they’re by far some of the cheapest and best quality on the market. Amazon will also ship your shoes straight to your house which means no waiting around at the store or paying exuberant freight costs, so you’re able to save even more from the beginning. If you like the feel and support, which so many CrossFit fanatics seem to do, you might even consider a backup pair for when you finally wear these out. For even more support, it’s always best to pair your shoes with a durable sock, and Reebok is proud to make those as well. A good sock can be just as crucial as a good shoe, so don’t spend so much time choosing the right footwear without putting thought into the sock choice as well. When you take your sport seriously you know just how important it is to get the right footwear to improve your performance, and for those who love CrossFit, there’s no better shoe than the Nano 5 by Reebok. This men’s shoe is the ultimate cross trainer and one that will change your game for the better. Reebok has been providing athletes with quality and innovative shoes for years, and they certainly haven’t disappointed with this pair. 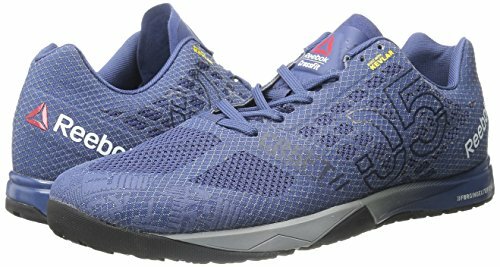 If you’re ready to skip the queue and save yourself some serious cash on your next pair of trainers, get the Reebok CrossFit Nano 5 Men’s Shoes online today.